The Talia Reversable Toscana Gilet by Barry Owen is a beautiful transitional piece - perfect for both formal and casual wear. 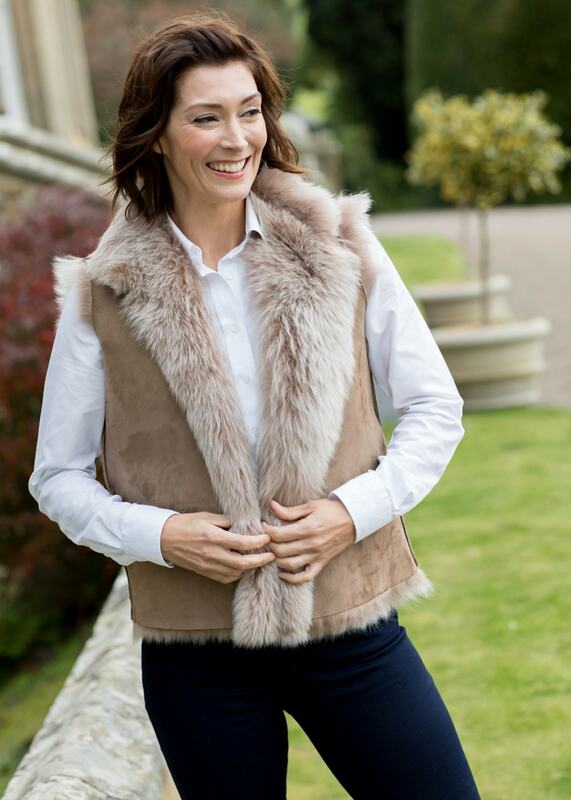 The Talia Reversable Toscana Gilet is a beautiful transitioning piece - perfect for both formal and casual wear. Without pockets or fasteners this is a clean, flattering piece that fits elegantly. It benefits from a luxurious Toscana sheepskin in a beautiful neutral tone and is backed with a smooth Merino sheepskin, providing warmth and comfort all year round.